Shop Online > Injectors > Surefire High Performance Injector Set For 2004.5 – 2007 Dodge 5.9L Cummins Diesel. Provides 120+ Horsepower Performance Improvement. Surefire High Performance Injector Set For 2004.5 – 2007 Dodge 5.9L Cummins Diesel. Provides 120+ Horsepower Performance Improvement. Produces a minimum of an additional 120 rear wheel horsepower. Will fit all 2004.5, 2005, 2006, and 2007 model Dodge Cummins engines. Made using high-quality performance tips, not the cheaper extrude hone tips which tend to cause metal flaking, excessive flow, and cracking. Built to performance specifications using DYNO Testing. Includes a 1 YEAR TAYLOR DIESEL PEACE OF MIND WARRANTY! Watch this video to learn why Surefire Injectors are some of the best high performance diesel fuel injectors on the market! If you’re looking for the best place to buy high performance dodge cummins diesel fuel injector kits, then you’re in the right place! 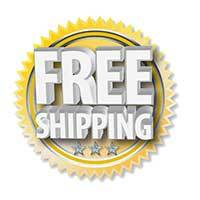 Are you looking for a surefire way to boost the performance of your Dodge diesel pickup truck? Look no further than this set of 6 Surefire High Performance Fuel Injectors! Install these injectors on your truck, and you’ll see an instant boost in performance of at least 120 HP, with no other upgrades. Whether you’re needing more trailer-towing power, you’re wanting to win races at the track, or you’re just needing to replace your failed stock injectors, these Surefire Injectors are a sure bet. 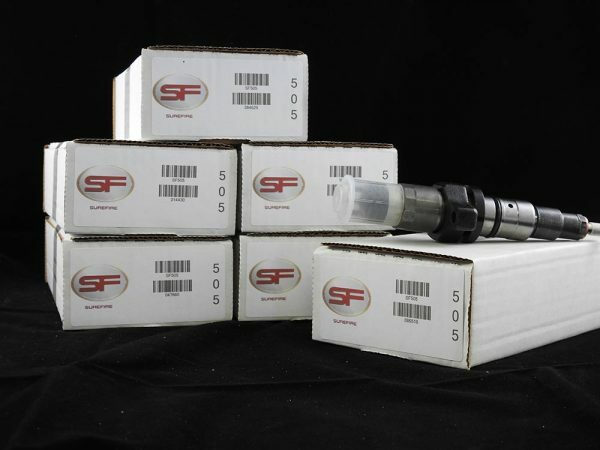 Order this set of High Performance Surefire injectors for your Dodge Cummins pickup today. You’re going to love the extra power that they’ll give your truck! ARE YOU LOOKING FOR THE BEST PRICE FOR 2004 DODGE CUMMINS 5.9 FUEL INJECTOR SETS? THIS QUALITY REMANUFACTURED INJECTOR IS MADE TO PRODUCE A MINIMUM OF AN ADDITIONAL 120 REAR WHEEL HP TO YOUR 2004.5-2007 DODGE 5.9L CUMMINS PICKUP. THIS INJECTORS ARE MADE USING FACTORY MADE PERFORMANCE TIPS, NOT EXTRUDE HONE TIPS WHICH HAVE A TENDENCY TO HAVE METAL FLAKING, EXCESSIVE FLOW, AND CRACKING. USING PERFORMANCE SPECIFICATIONS AS WELL AS DYNO TESTING, WE HAVE BUILT A SUPERIOR QUALITY INJECTOR THAT OUT PERFORMS THE REST WITH NO OTHER UPGRADES NEEDED AND HAS A 1 YEAR WARRANTY TO BACK. GIVEN THE OPPORTUNITY TO PERFORM, WE HAVE YET TO SEE A DISAPPOINTED CUSTOMER! MAKE SURE YOU CHECK OUT OUR DODGE RAM 2500 CUMMINS TURBO / DODGE RAM 3500 CUMMINS TURBO TOO! AT TAYLOR DIESEL, WE WANT TO BE YOUR ONE STOP SHOP FOR DIESEL PARTS AND SERVICE. IF YOU DON’T SEE WHAT YOU’RE LOOKING FOR ON OUR WEBSITE, PLEASE GIVE US A CALL. THERE’S A GOOD CHANCE THAT WE’VE GOT WHAT YOU’RE LOOKING FOR, AND JUST HAVEN’T ADDED IT TO OUR WEBSITE.